Headlies: Reigns, Ambrose, and Rollins to recruit The Shield as private security force - WrestleCrap - The Very Worst of Pro Wrestling! After repeated interference by fans at recent live events, WWE Superstars Roman Reigns, Dean Ambrose, and Seth Rollins have hired former WWE faction The Shield to serve as their personal ringside crowd control. The pattern of attacks by members of the WWE Universe began at a recent house show when a fan threw a replica Money in the Bank briefcase into the ring, striking Roman Reigns. Later, a fan jumped the guardrail at Monday Night Raw and charged at Dean Ambrose before being tackled by security. WWE Champion Seth Rollins also had a close encounter with a fan who attempted to walk down the ramp with Rollins as he made his ring entrance. The most recent and highest-profile incident occurred tonight at the Night of Champions pay-per-view, when a fan entered the ring with Reigns and Ambrose before they could introduce their mystery partner. 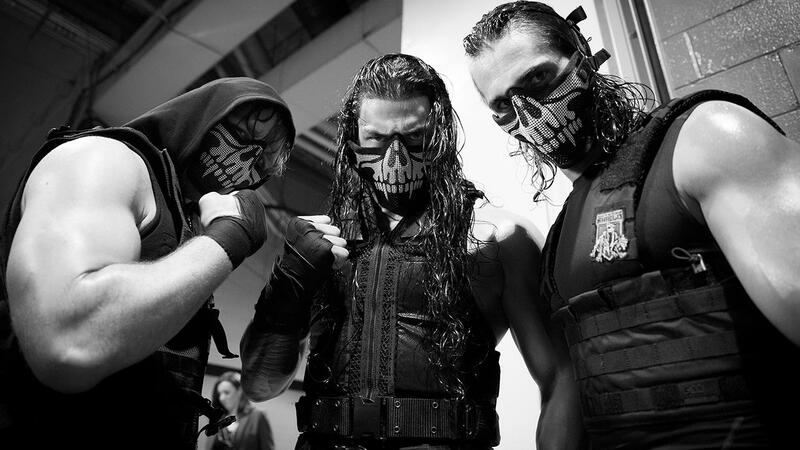 Backstage, the beleaguered trio of Superstars met behind closed doors and decided enough was enough, agreeing to enlist the services of The Shield, a group first hired by CM Punk. 7 Responses to "Headlies: Reigns, Ambrose, and Rollins to recruit The Shield as private security force"
Other potential security detail members: Doug Dellinger, “Secret Service” Jack Victory, “The Bodyguard” Mr. Hughes and Ralphus. Well if there can be 2 Kanes, Joseph Park/Abyss and many other funky split personas/clones/time travellers (which makes pro wrestling sound more like the Melancholy of Haruhi Suzumiya and other anime now that I think about it), why not a time travelling Shield to help the future? I’m sure the Terminator can teach them time travel, if not the Timesplitters of New Japan Pro Wrestling. Former body guards who need body guards? Wow………..
What FAN? I thought that was Joseph Mercury. It wasn’t. Though it did look a lot like him. The guy got a 10 day jail sentence for criminal trespassing. Rollins never had any of these problems when J&J Security was around.